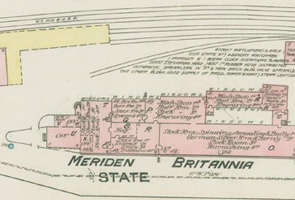  For those unfamiliar with the street layouts in the Meriden area, with the site address, you can search the location on Google Maps, and then refer to the historical maps above. This list is in development. If you know of other maps, 1830-1960, please contact artdesigncafe.